The Boswell Sisters – It Don’t Mean A Thing If It Ain’t Got That Swing (1932). November 22, 1932 Victor Young (ldr), Bunny Berigan, Manny Klein (tpt), Tommy Dorsey (tbn), Jimmy Dorsey (cl), Larry Binyon (ts), Harry Hoffman (vln), Martha Boswell ℗, Carl Kress (g), Artie Bernstein (sb), Stan King (d), New York City B-12639-A It Don’t Mean A Thing (Mills-Ellington) 3:12 Brunswick 6442, [BSC3]. 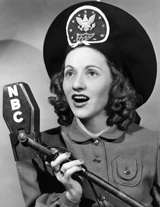 In 1936, Connee’s sisters retired and Connee continued on as a solo artist (having also recorded solos during her years with the group). 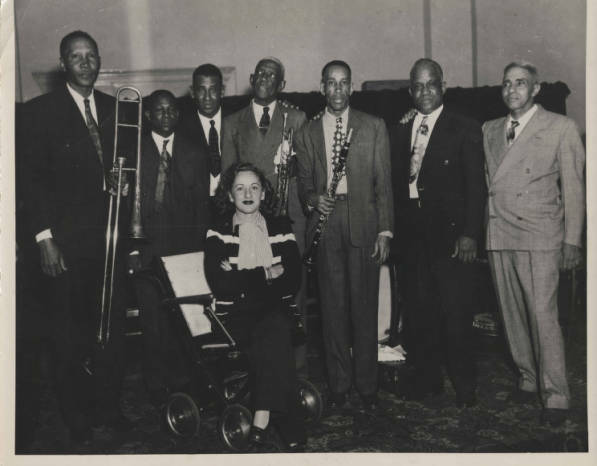 The Boswells came to be well known locally while still in their early teens, making appearances in New Orleans theaters and radio. They made their first recordings for Victor Records in 1925, which included “Cryin’ Blues” where Connee is featured singing in the style of her early influence, the African American singer Mamie Smith. The Boswell Sisters became stage professionals that year when they were tapped to fill in for an act at New Orleans’ Orpheum Theatre. They received an invitation to come to Chicago and perform in 1928 and honed their act on the Western Vaudeville Circuit. When their tour ended they traveled to San Francisco. The hotel that had been recommended had a less than savory reputation, and the man at the desk suggested that these three young ladies might be better off in another hotel. That man, Harry Leedy, would later become their manager on a handshake and become a permanent part of Connee’s life as her husband. Harry was also part owner of Decca Records. The Boswell Sisters travelled to Los Angeles where they performed on local radio and “side-miked” for the soundies, including the 1930 production “Under Montana Skies.” They did not attain national attention, however, until they moved to New York City in 1930 and started making national radio broadcasts. After a few recordings with Okeh Records, they made numerous recordings for Brunswick Records from 1931-1935. In 1935, the sisters had a #1 hit with “The Object of My Affection“, the biggest of twenty top 20 records they would enjoy. 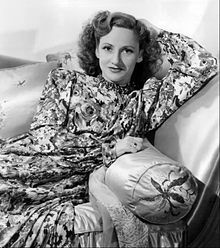 All through her career with The Boswell Sisters, and into the early 1940s, her name was spelled “Connie”. She later changed the spelling to Connee. Stories vary as to why she made the change (because it made it easier to sign autographs, or that she felt it was unique and would bring good luck). Connee Boswell was also an arranger and a composer. 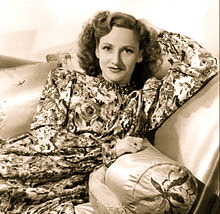 While many of the Boswell Sisters recordings are the result of a collaborative effort of all three sisters, Connee is most often credited and indeed, during her solo career, she arranged large parts of her catalogue. Some of her original compositions were published under the name Diane Foore. Connee sang from a wheelchair – or seated position – during her entire career, due to either a childhood bout with polio or a fall from the back of a coaster wagon. The general public was not aware of her condition although Boswell herself did not keep this secret. During World War II, she tried to get involved with the USO tours but was not given permission to travel overseas. The Army thought it might not be a morale-booster to have a singer who used a wheelchair perform for the troops. 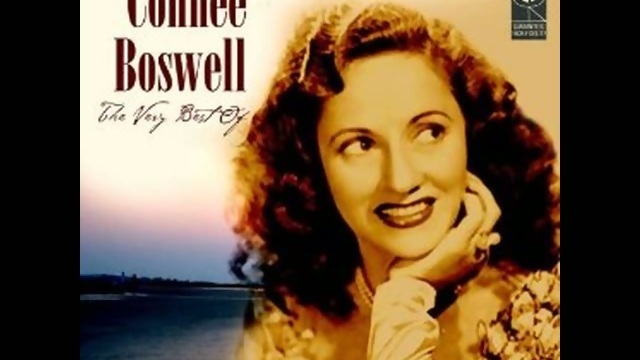 Connee Boswell was a favorite duet partner of Bing Crosby and they frequently sang together on radio as well as recording several hit records as a duo in the 1930’s and 1940s. Boswell and Crosby recorded a version of Alexander’s Ragtime Bandwhich was introduced by Eddie Cantor that was a #1 hit in 1938. This recording benefited the National Foundation for Infantile Paralysis, which would later become the March of Dimes. In 1939, Crosby and Boswell had three hit duet records that each climbed into the top 12 on Billboard; “An Apple For The Teacher” climbed all the way to #2. Boswell also had several dozen solo hits, including “Moonlight Mood” in 1942. Her last charted hit was “If I Give My Heart To You,” recorded in 1954. Boswell’s career slackened in the 1950s but she still recorded occasionally and would be featured on a number of television broadcasts including a regular stint on the 1959 series “Pete Kelly’s Blues”, playing the character “Savannah Brown”. Boswell’s life was chronicled in the 2006 documentary short subject, “Connee Boswell- Life is a Song.” Although currently unavailable, the film premiered during the Boswell Sisters Centennial, held in New Orleans to commemorate the influence of the Boswell Sisters and Connee’s 100th birthday in 2007.